The Last Great Victorian Explorer's Final Quest A scientist and adventurer of legendary endurance, will and bravery, Percy Fawcett set out in 1925 to find the Amazonian city of El Dorado. The Lost City of Z, David Grann's novel-like reconstruction of Percy's quest, thrills both the heart and mind. 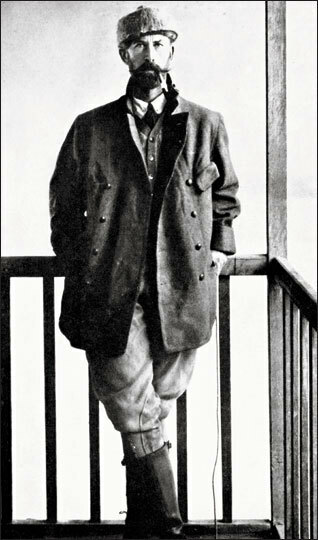 British archaeologist and explorer Percy Fawcett disappeared mysteriously in the Amazon in 1925. 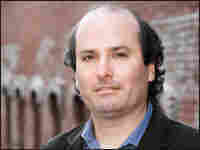 Author David Grann lives in New York with his wife and two children. There are two things a person comes away with after reading David Grann's ridiculously entertaining book about Amazon explorer Percy Fawcett and his disappearance in the jungle in 1925: Nature is, at best, indifferent toward you (and at worst, outright hostile); and the true lost civilization under discussion here is not the fabled land of El Dorado, but the Victorian age, of which Fawcett was an exotic, exemplary specimen. The Lost City of Z is Grann's vivid retelling of Fawcett's remarkable life, one characterized by physical courage, bloody single-mindedness and limitless curiosity. A tall, handsome Brit possessing nearly superhuman stamina, Fawcett embodied all the manly traits admired by his era. In the early 20th century, he had successfully, if harrowingly, explored regions of the Amazon on behalf of the Royal Geographical Society. In this final expedition, he was setting out to prove definitively that the "green hell" of the Amazon basin could nurture a large-scale civilization. Embarking only with his 21-year-old son and his son's best friend, the 50-something Col. Fawcett hiked into the jungle. They were never heard from again. 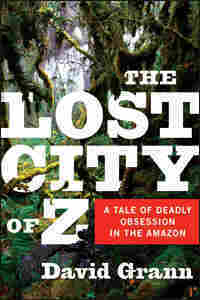 Written as an adventure novel (though Grann provides source notes for all the colorful material in his book), The Lost City of Z thrills the heart and mind. Its tales of grotesque peril and unbending duty leave one feeling lucky to have to, at worst, navigate cluttered cubicles and 10-hour workdays, yet feeling the lesser, too, for leading such a pedestrian life. On a cold January day in 1925, a tall, distinguished gentleman hurried across the docks in Hoboken, New Jersey, toward the S.S. Vauban, a five-hundred-and-eleven-foot ocean liner bound for Rio de Janeiro. He was fifty-seven years old, and stood over six feet, his long arms corded with muscles. Although his hair was thinning and his mustache was flecked with white, he was so fit that he could walk for days with little, if any, rest or nourishment. His nose was crooked like a boxer's, and there was something ferocious about his appearance, especially his eyes. They were set close together and peered out from under thick tufts of hair. No one, not even his family, seemed to agree on their color — some thought they were blue, others gray. Yet virtually everyone who encountered him was struck by their intensity: some called them "the eyes of a visionary." He had frequently been photographed in riding boots and wearing a Stetson, with a rifle slung over his shoulder, but even in a suit and a tie, and without his customary wild beard, he could be recognized by the crowds on the pier. 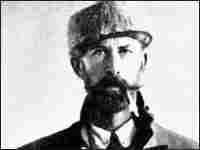 He was Colonel Percy Harrison Fawcett, and his name was known throughout the world. He was the last of the great Victorian explorers who ventured into uncharted realms with little more than a machete, a compass, and an almost divine sense of purpose. For nearly two decades, stories of his adventures had captivated the public's imagination: how he had survived in the South American wilderness without contact with the outside world; how he was ambushed by hostile tribesmen, many of whom had never before seen a white man; how he battled piranha, electric eels, jaguars, crocodiles, vampire bats, and anacondas, including one that almost crushed him; and how he emerged with maps of regions from which no previous expedition had returned. He was renowned as the "David Livingstone of the Amazon," and was believed to have such unrivaled powers of endurance that a few colleagues even claimed he was immune to death. An American explorer described him as "a man of indomitable will, infinite resource, fearless"; another said that he could "outwalk and outhike and outexplore anybody else." The London Geographical Journal, the pre-eminent publication in its field, observed in 1953 that "Fawcett marked the end of an age. One might almost call him the last of the individualist explorers. The day of the aeroplane, the radio, the organized and heavily financed modern expedition had not arrived. With him, it was the heroic story of a man against the forest." In 1916, the Royal Geographical Society had awarded him, with the blessing of King George V, a gold medal "for his contributions to the mapping of South America." And every few years, when he emerged from the jungle, spidery thin and bedraggled, dozens of scientists and luminaries would pack into the Society's hall to hear him speak. Among them was Sir Arthur Conan Doyle, who was said to have drawn on Fawcett's experiences for his 1912 book The Lost World, in which explorers "disappear into the unknown" of South America and find, on a remote plateau, a land where dinosaurs have escaped extinction. Something there was of Napoleon III, something of Don Quixote, and yet again something which was the essence of the English country gentleman. ... He has a gentle voice and a quiet manner, but behind his twinkling blue eyes there lurks a capacity for furious wrath and implacable resolution, the more dangerous because they are held in leash. None of Fawcett's previous expeditions compared with what he was about to do, and he could barely conceal his impatience, as he fell into line with the other passengers boarding the S.S. Vauban. The ship, advertised as "the finest in the world," was part of the Lamport & Holt elite "V" class. The Germans had sunk several of the company's ocean liners during the First World War, but this one had survived, with its black, salt-streaked hull and elegant white decks and striped funnel billowing smoke into the sky. Model T Fords shepherded passengers to the dock, where longshoremen helped cart luggage into the ship's hold. Many of the male passengers wore silk ties and bowler hats; women had on fur coats and feathered caps, as if they were attending a society event, which, in some ways, they were — the passenger lists of luxury ocean liners were chronicled in gossip columns and scoured by young girls searching for eligible bachelors. Fawcett pushed forward with his gear. His trunks were loaded with guns, canned food, powdered milk, flares, and handcrafted machetes. He also carried a kit of surveying instruments: a sextant and a chronometer for determining latitude and longitude, an aneroid for measuring atmospheric pressure, and a glycerin compass that could fit in his pocket. Fawcett had chosen each item based on years of experience; even the clothes he had packed were made of lightweight, tear-proof gabardine. He had seen men die from the most innocuous seeming oversight — a torn net, a boot that was too tight. Fawcett was setting out into the Amazon, a wilderness nearly the size of the continental United States, to make what he called "the great discovery of the century" — a lost civilization. By then, most of the world had been explored, its veil of enchantment lifted, but the Amazon remained as mysterious as the dark side of the moon. As Sir John Scott Keltie, the former secretary of the Royal Geographical Society and one of the world's most acclaimed geographers at the time, noted, "What is there no one knows." What was true about the region — serpents as long as trees, rodents the size of pigs — was sufficiently beyond belief that no embellishment seemed too fanciful. And the most entrancing vision of all was of El Dorado. Raleigh claimed that the kingdom, which the conquistadores had heard about from Indians, was so plentiful in gold that its inhabitants ground the metal into powder and blew it "thorow hollow canes upon their naked bodies untill they be al shining from the foote to the head." Yet each expedition that had tried to find El Dorado ended in disaster. Carvajal, whose party had been searching for the kingdom, wrote in his diary, "We reached a [state of] privation so great that we were eating nothing but leather, belts and soles of shoes, cooked with certain herbs, with the result that so great was our weakness that we could not remain standing." Some four thousand men died during that expedition alone, of starvation and disease, and at the hands of Indians defending their territory with arrows dipped in poison. Other El Dorado parties resorted to cannibalism. Many explorers went mad. In 1561, Lope de Aguirre led his men on a murderous rampage, screaming, "Does God think that, because it is raining, I am not going to ... destroy the world?" Aguirre even stabbed his own child, whispering, "Commend thyself to God, my daughter, for I am about to kill thee." Before the Spanish crown sent forces to stop him, Aguirre warned in a letter, "I swear to you, King, on my word as a Christian, that if a hundred thousand men came, none would escape. For the reports are false: there is nothing on that river but despair." Aguirre's companions finally rose up and killed him; his body was quartered, and Spanish authorities displayed the head of the "Wrath of God" in a steel cage. Still, for three centuries, expeditions continued to search, until, after a toll of death and suffering worthy of Joseph Conrad, most archeologists had concluded that El Dorado was no more than a delusion. Fawcett, however, was certain that the Amazon contained a fabulous kingdom, and he was not another soldier of fortune or a crackpot. A man of science, he had spent years gathering evidence to prove his case — digging up artifacts, studying petroglyphs, and interviewing tribes. And after fierce battles with skeptics Fawcett had received funding from the most respected scientific institutions, including the Royal Geographical Society, the American Geographical Society, and the Museum of the American Indian. Newspapers were proclaiming that Fawcett would soon startle the world. The Atlanta Constitution declared, "It is perhaps the most hazardous and certainly the most spectacular adventure of the kind ever undertaken by a reputable scientist with the backing of conservative scientific bodies." Fawcett had concluded that an ancient, highly cultured people still existed in the Brazilian Amazon and that their civilization was so old and sophisticated it would forever alter the Western view of the Americas. He had christened this lost world the City of Z. "The central place I call 'Z' — our main objective — is in a valley ... about ten miles wide, and the city is on an eminence in the middle of it, approached by a barreled roadway of stone," Fawcett had stated earlier. "The houses are low and windowless, and there is a pyramidal temple." Reporters on the dock in Hoboken, across the Hudson River from Manhattan, shouted questions, hoping to learn the location of Z. In the wake of the technological horrors of the Great War, and amid the spread of urbanization and industrialization, few events so captivated the world. One newspaper exulted, "Not since the days when Ponce de Leon crossed the unknown Florida in search of the Waters of Perpetual Youth ... has a more alluring adventure been planned." Fawcett welcomed "the fuss," as he described it in a letter to a friend, but he was careful about how he responded. He knew that his main rival, Alexander Hamilton Rice, a multimillionaire American doctor who commanded vast resources, was already entering the jungle with an unprecedented array of equipment. The prospect of Dr. Rice finding Z terrified Fawcett. Several years earlier, Fawcett had watched as a colleague from the Royal Geographical Society, Robert Falcon Scott, had set out to become the first explorer to reach the South Pole, only to discover, shortly before he froze to death, that his Norwegian rival, Roald Amundsen, had beaten him by thirty-three days. In a recent letter to the Royal Geographical Society, Fawcett wrote, "I cannot say all I know, or even be precise as to locality, for these things leak out, and there can be nothing so bitter to the pioneer as to find the crown of his work anticipated." him, it would result in countless deaths. An expedition of fourteen hundred armed men had previously vanished in the same region. A news bulletin telegraphed around the globe declared, "Fawcett Expedition ... to Penetrate Land Whence None Returned." And Fawcett, who was resolved to reach the most inaccessible areas, did not intend, like other explorers, to go by boat; rather, he planned to hack straight through the jungle on foot. The Royal Geographical Society had warned that Fawcett "is about the only living geographer who could successfully attempt" such an expedition and that "it would be hopeless for any people to follow in his footsteps." Before he left England, Fawcett confided to his younger son, Brian, "If with all my experience we can't make it, there's not much hope for others." As reporters clamored around him, Fawcett explained that only a small expedition would have any chance of survival. It would be able to live off the land, and not pose a threat to hostile Indians. The expedition, he had stated, "will be no pampered exploration party, with an army of bearers, guides and cargo animals. Such top-heavy expeditions get nowhere; they linger on the fringe of civilization and bask in publicity. Where the real wilds start, bearers are not to be had anyway, for fear of the savages. Animals cannot be taken because of lack of pasture and the attack of insects and bats. There are no guides, for no one knows the country. It is a matter of cutting equipment to the absolute minimum, carrying it all oneself, and trusting that one will be able to exist by making friends with the various tribes one meets." He now added, "We will have to suffer every form of exposure. ... We will have to achieve a nervous and mental resistance, as well as physical, as men under these conditions are often broken by their minds succumbing before their bodies." Fawcett had chosen only two people to go with him: his twenty-one-year-old son, Jack, and Jack's best friend, Raleigh Rimell. Although they had never been on an expedition, Fawcett believed that they were ideal for the mission: tough, loyal, and, because they were so close, unlikely, after months of isolation and suffering, "to harass and persecute each other" — or, as was common on such expeditions, to mutiny. Jack was, as his brother Brian put it, "the reflection of his father": tall, frighteningly fit, and ascetic. Neither he nor his father smoked cigarettes or drank. Brian noted that Jack's "six feet three inches were sheer bone and muscle, and the three chief agents of bodily degeneration — alcohol, tobacco and loose living — were revolting to him." Colonel Fawcett, who followed a strict Victorian code, put it slightly differently: "He is ... absolutely virgin in mind and body." Jack, who had wanted to accompany his father on an expedition since he was a boy, had spent years preparing — lifting weights, maintaining a rigid diet, studying Portuguese, and learning how to navigate by the stars. Still, he had suffered little real deprivation, and his face, with its luminescent skin, crisp mustache, and slick brown hair, betrayed none of the hardness of his father's. With his stylish clothes, he looked more like a movie star, which is what he hoped to become upon his triumphant return. Raleigh, though smaller than Jack, was still nearly six feet tall and muscular. (A "fine physique," Fawcett told the R.G.S.) His father had been a surgeon in the Royal Navy and had died of cancer in 1917, when Raleigh was fifteen. Dark-haired, with a pronounced widow's peak and a riverboat gambler's mustache, Raleigh had a jocular, mischievous nature. "He was a born clown," said Brian Fawcett, the "perfect counterpart of the serious Jack." The two boys had been virtually inseparable since they roamed the Devonshire countryside around Seaton, England, where they grew up, riding bicycles and shooting rifles in the air. In a letter to one of Fawcett's confidants, Jack wrote, "Now we have Raleigh Rimell on board who is every bit as keen as I am. ... He is the only intimate friend I have ever had. I knew him before I was seven years old and we have been more or less together ever since. He is absolutely honest and decent in every sense of the word and we know each other inside out." 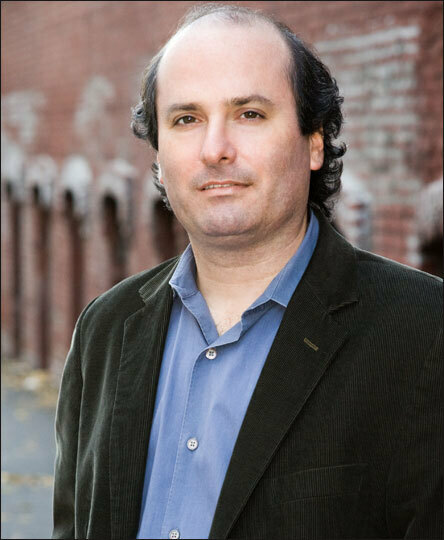 Excerpted from The Lost City of Z by David Grann Copyright © 2009 by David Grann. Excerpted by permission of Doubleday, a division of Random House, Inc. All rights reserved. No part of this excerpt may be reproduced or reprinted without permission in writing from the publisher.